Fashionable women who have an identifiable look like Emmanuelle Alt are style icons to many of us. These daily uniforms, as I like to think of them, look chic and easy to others and surely would make getting dressed for work or such in the morning easier. In the attempt to pair down my wardrobe, I've been thinking about what would my daily uniform be? An Equipment blouse, tailored blazer, black skinny jeans and comfortable booties or d'orsay flats. I love blouses with a super feminine print. Great choices! 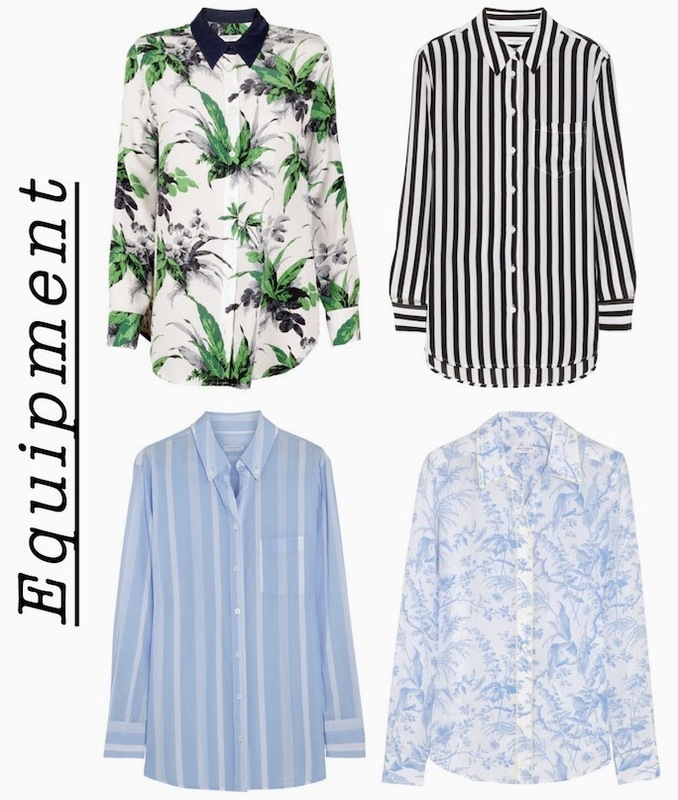 I LOVE Equipment blouses. By far a fave and def part of my uniform. These are gorgeous blouses. I LOVE Equipment! I only own only one so far and it's such a perfect blouse. Thanks for sharing these lovely items. I also like the Jeffrey Campbell booties at the bottom. Like these blouses, they are indeed necessary in our life.